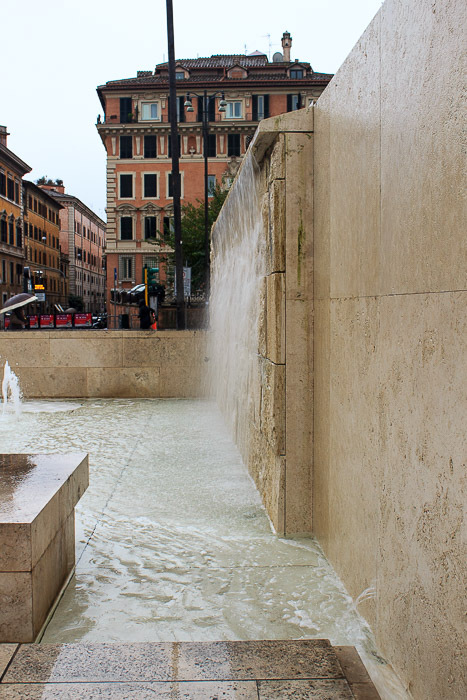 The fountain in front of the Ara Pacis is a modern fountain with no statues, but is still fun to watch. 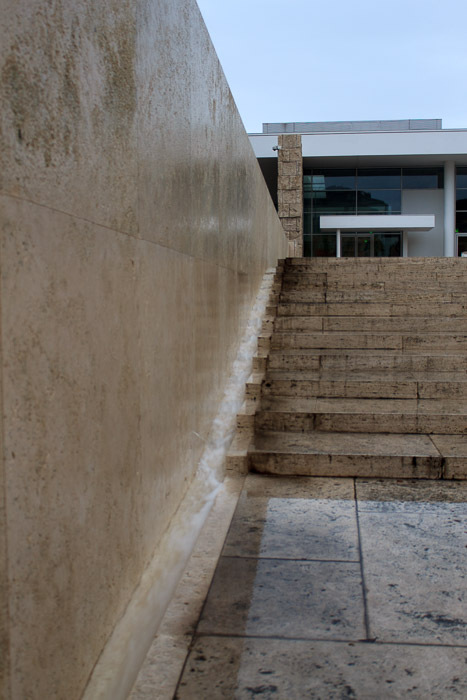 Water flows down the edge of the stairway leading into the museum, and over the wall beside that stairway. Small jets shoot upward a short distance from the pool that the water collects in. 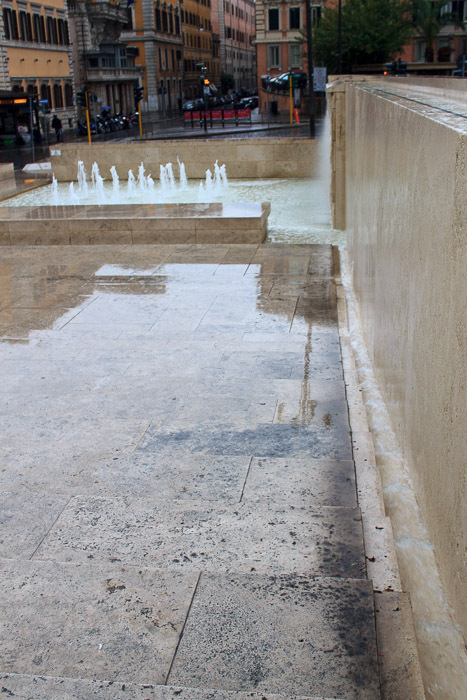 See all Fountain in Front of Ara Pacis photos.